Today I’ll show you 4 ways you can bulk check if a set of backlinks are still linking to your website; in addition to that, you’ll learn if they use the rel="nofollow" tag and how to be updated automatically should either of those things ever change. BuzzStream is a paid tool but it’s well worth it. Even if you don’t use BuzzStream for the outreach part, you should still use it as a database for any links you build. 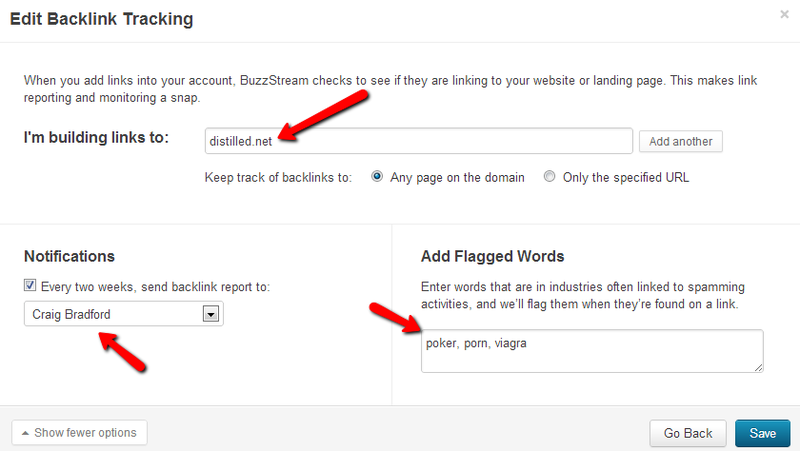 If you get into the habit of adding any links you build into BuzzStream, it makes the monitoring process very easy. There are three parts of this tool, the import, running a check and then scheduling the check to run and automatically email you if there are any changes. Once logged in, click the import button at the top of the screen. Then select either import from CSV or just paste a list of URLs. You might consider adding a tag to the URLs if you just want to check a batch of links, this makes it easier to select only those links when doing the check. In my case I just added the tag “Craig”. Once the import is complete, click on the “Link Monitoring” tool at the top of the screen, filter to show only those links that have the tag that you added, select all links, then finally the “Check Backlinks” button as shown in the image below. BuzzStream will send you an email when it’s complete. As you can see, the report shows that 4 of the links I imported don’t link to Distilled and 2 of them have nofollowed links. This tool also checks changes to anchor text, significant changes to PageRank, unique visitors, outbound links, index status, “flagged words;” plus more, it’s amazing. 3 – Click on the project you want to monitor – there are three buttons, click the one on the left, which is "edit". 4 – A popup will appear, do nothing. Just click the button at the bottom that says “Next: Edit Backlink Tracking” and you’ll be taken to a screen shown below. You then have three options. Add the domain you are building links to, check the box that says you want to be sent a report every two weeks and select your name as the user. Finally add any words that you want to be flagged. As it says in the image below, adding keywords to be flagged can help pick up if any sites have been hacked or become spammy. That’s it, hit save and you’ll get an email every two weeks telling you if any of your backlinks have been removed. Next you need to install an add-on, it’s called “Scrapbox DoFollow Test”. Select “add-ons” from the main navigation, show available add-ons, then select the ScrapeBox DoFollow Test” add-on. To use the tool, click add-ons from the main navigation, select the DoFollow add-on, which should now be installed, and you’ll see a popup like the image below. From the bottom left select “Load target links” and upload a text document that contains the backlinks you want to test. Then enter your site in the “Your website” field and finally click the start button. 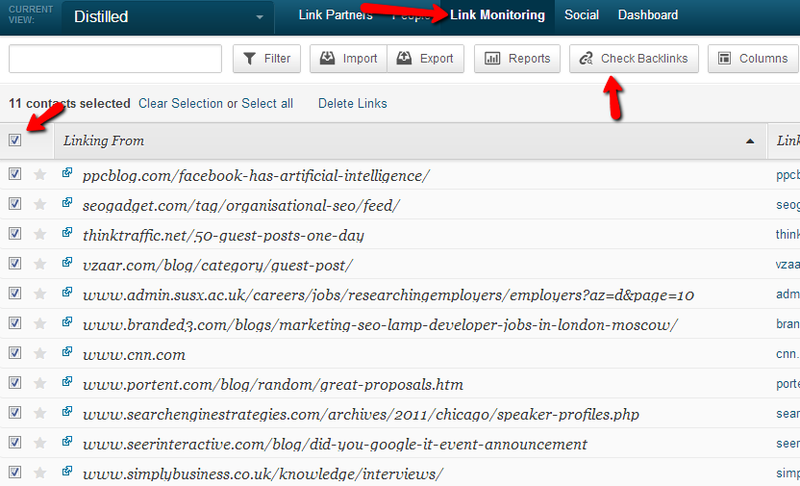 Within seconds you’ll have a report detailing which sites link to you and whether or not they are followed or nofollow. It’s no secret that I love Screaming Frog, if you’ve never used it, read one of my previous blog posts on how to use Screaming Frog. Rather than repeat something already eloquently described elsewhere here, I'll simply recommend that read this blog post on the Screaming Frog blog which shows in detail how you can use it to check your links are still live. 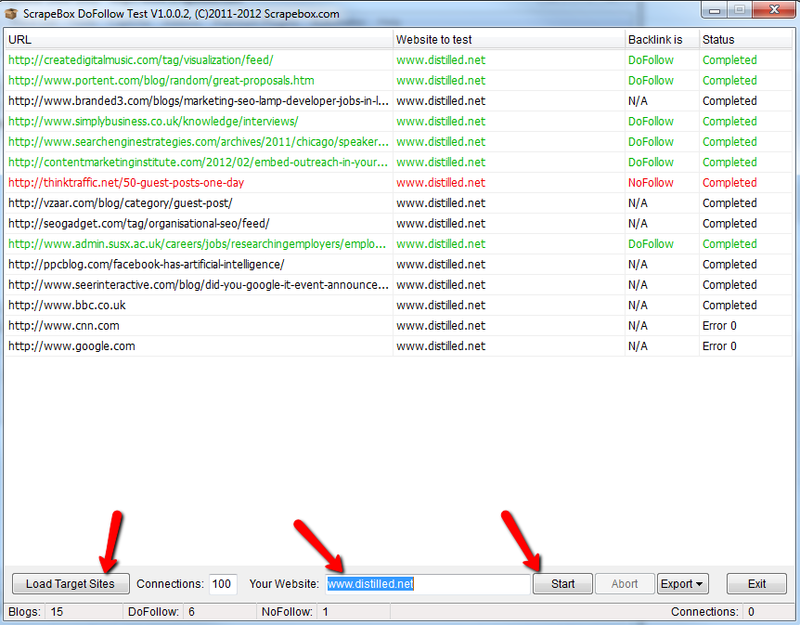 Checking if links are live is just one of SEOTools for excel’s many functions, but best of all it’s free. Before downloading it you might want to read this post on how to use SEOTools for Excel - it covers some of the most common tools you’ll use as an SEO. One you have installed the plugin it’s very easy to use. For instructions on how to install, see this installation section on the site. It takes two compulsory arguments and two optional arguments. 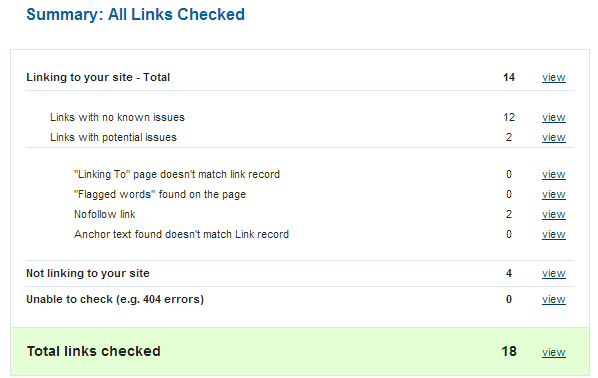 To use it, click the Backlinks dropdown followed by the CheckBacklink function. The tool will then guide you through the process as shown below. You’ll then know which of your links are live and whether or not they are followed. I’m always interested to know of other ways to make this task easier, so if you use a method I’ve not covered here, please feel free to share it in the comments.